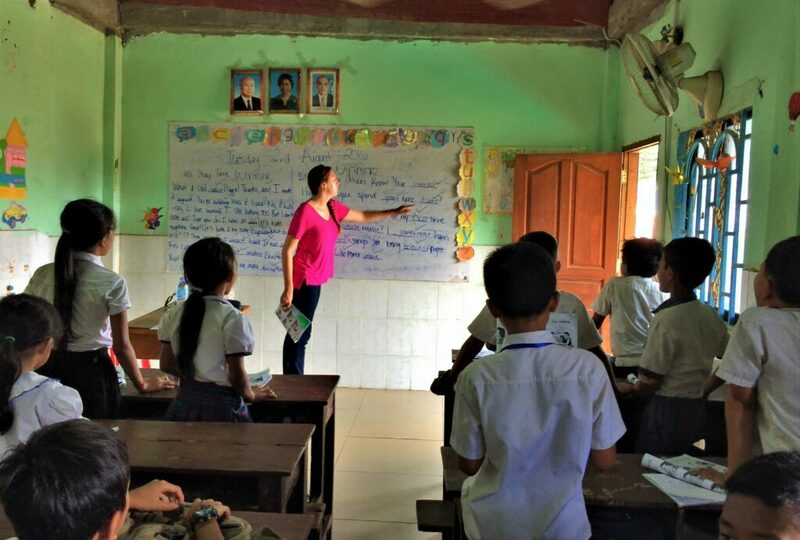 GSC’s Teach English Abroad Program addresses a significant need among students and working Cambodians to learn conversational English speaking skills. Obtaining English language skills opens a world of opportunity for people across Southeast Asia, particularly in Cambodia. Many industries, such as tourism and hospitality, require employees to have Basic English skills, and many international agencies with offices in Cambodia use English for daily operations. However, according to the recent English Proficiency Index by Education First, Cambodia has the worst English language skills in Asia. This is due to various obstacles facing the under-developed education system including a lack of English curriculum in schools, insufficient teaching materials, and a shortage of qualified teaching staff. In short, as Cambodia’s economic growth and increasing international presence provide potential opportunity for its people, Cambodia is simultaneously faced with the challenge of bolstering English language skills, which is required to succeed in these dynamic times. To help address the disparity between the crucial need to improve English literacy and the unique nature of existing and accessible resources to do so, GSC’s Teach English Abroad Program teams up with selected local schools and community development organizations to assist disadvantaged students. These organizations have made significant progress with local communities by establishing schools in rural areas and training centers in Phnom Penh to help the citizens of Cambodia who need it most. 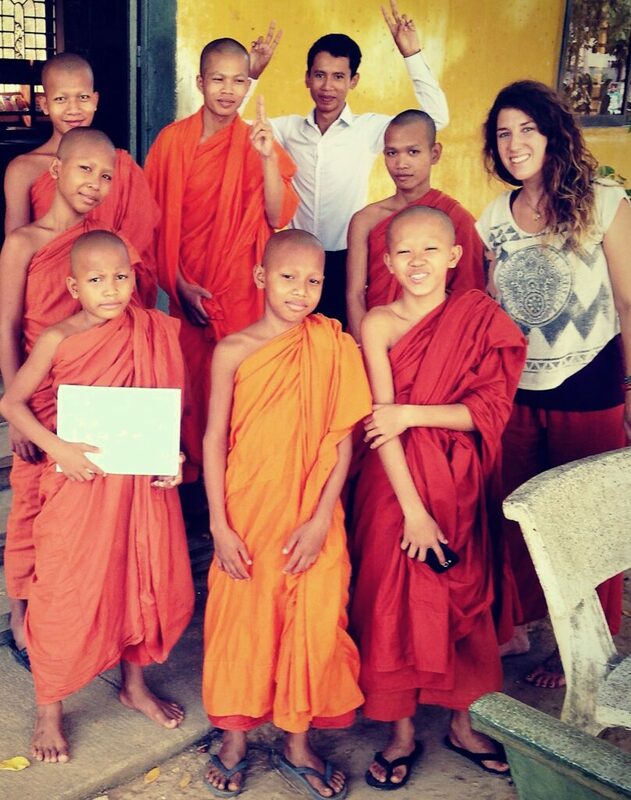 Volunteers on this program assist our partners by teaching basic conversational English to a wide variety of students, including both young and older Buddhist monks. The students will vary in age and English abilities so volunteers will have the chance to work with a variety of students. Neither prior teaching experience nor a TEFL certificate is required for this program. Volunteers will have access to school curriculum, GSC’s Teaching English Manual and other resources for their lessons. The subjects can range from pronunciation of vocabulary, to conversational English. GSC encourages volunteers to be creative when planning their lessons, keeping in mind that the greatest need of these students is to practice English with a native English speaker. You will be provided initial training by the GSC In-Country Coordinator who has a Master’s Degree in Education and has taught English in Cambodia for many years. The Cambodia Teach English Abroad Program is open year-round with start dates every month and programs ranging from 2-weeks to six-months, or longer. For more information about the Buddhist Immersion – Teach English Abroad Program, go to our BI – TEA Program page. You may also click on the links below to request more information and ask any questions you may have, learn about our program’s start dates and current rates, read about the application process, and start an application.